Kota's Creative Corner: I want a Bubble Tea!! Right Now! This day is so goddamned sunny and I wanna use the time during the sun shines! 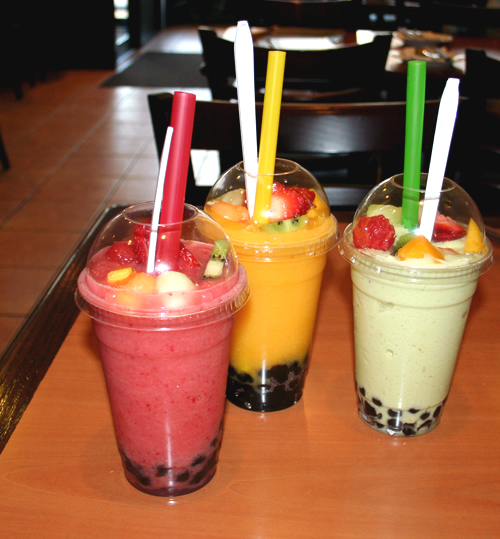 I hope I can find somebody for going out to the sund and drink a Bubble Tea with me. Would be nice. Today my aunty arrived and everyone was in panic. "We need to clean up!" Was like the queen of england was visiting our house. <(°3°)> But it was also megafun and I loved it! Now I try to hope someone comes Facebook online to chat and discuss wether to do something or not. Don't care I wanna do something!!! 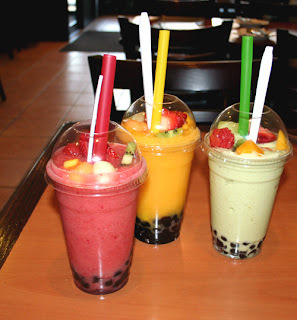 Here I have a picture of Boba Tea, as it is also called. The next will also be totally relaxing and nice! Tomorrow I will have dinner with my granny and she is the best granny in the world. So as my whole fam. Re Edit: I have found my buddy <(*___*)> So until this eve! !